Dataminers are known to uncover a lot of information related to the game as well as company’s plans regarding the future projects. Recently, dataminers discovered something new while digging the files of GTA Online. 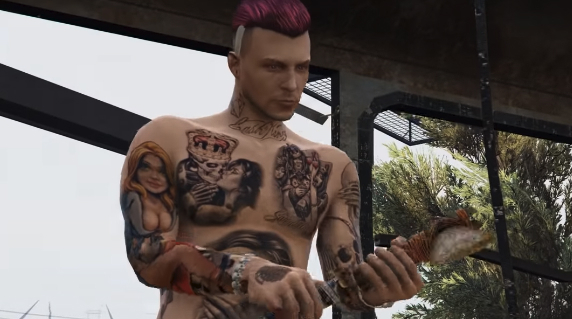 GTA Online players did some research on the files found in the most recent update and found a weapon, the hatched which is apparently from their upcoming game Red Dead Redemption 2. The hatched was found by reddit users Kaimeera and theinsightfulwatcher who discovered the weapon after entering the mission of Maude Eccles. Players have to visit 5 different places in the map where each place contains a specific target and the players has to either capture or kill the target. After the fifth target, the players are moved to a sixth location where they find the hatched in a chest. As per the details, by having 25 kills with the hatchet, you will get some rewards in terms of in-game money and access to the upcoming Red Dead Redemption 2 game. While the weapon isn’t even officially accessible to every one since this mission is yet to go live in the coming weeks officially. However, a few players managed to get it successfully, so we are hoping the official launch of this mission really soon. GTA Online is available across all the platforms and this mission is a part new the most new update which came along with the free DLC Nightclub which went live last week. Stay tuned for more updates!